Samara, June 25, Interfax - Russian specialists are helping to restore the St. Alexander Nevsky Cathedral in the Chinese city of Wuhan, Russia's presidential envoy to the Volga Federal District Mikhail Babich said at a roundtable held in the Volga-Yangzi format. “Once the church is restored, it could be used as a base for opening a Russian-Chinese cultural center hosting both the church-museum part introducing Russia’s spiritual culture, and a permanent place dedicated to the history of the Russian-Chinese regional ties,” Babich said. At the same time, he said he hoped for China’s cooperation in agreeing on technical procedures involving the delivery to China of complicated parts of the church architecture and their joint assembly by Russian and Chinese specialists. The agreement on cooperation in restoring the church was reached at the first session of a joint working group for trade, economic and humanitarian cooperation between Russia’s Volga Federal District and the Chinese region of the upper and middle Yangzi River in the city of Chongqing in February 2014. The Russian delegation expressed willingness to create and donate complex parts of the church architecture and interior and provide traditional-style mural paintings. 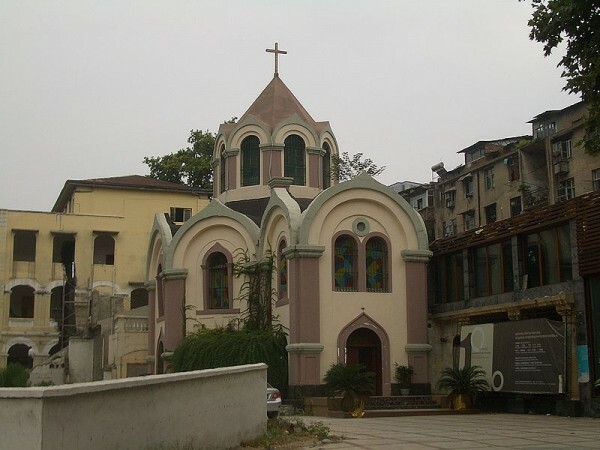 The Alexander Nevsky Cathedral is the oldest one in China and was built by Russian merchants in 1893. In 1950s, the church provided services to the Chinese Orthodox Christians from nearby villages which were home to about 2,000 believers. The church ran a secondary school for Chinese children. In subsequent years, the church was taken away from the devout and used as a warehouse. On May 27, 1998, the church was registered as a city protected historical monument.